Our range is open to the general public from sunrise to sunset, except during special events when we host archery tournaments or range maintenance days. Check our calendar before planning your visit. 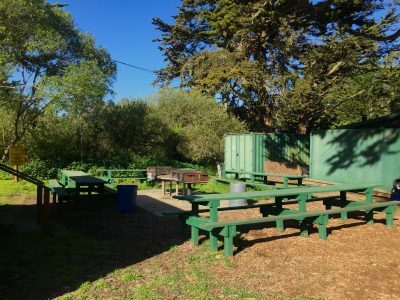 These fees go towards range maintenance, such as tree trimming, replacing hay bales & targets, port-a-potty cleaning, garbage collection, and all the million things required to keep our range safe for everyone. 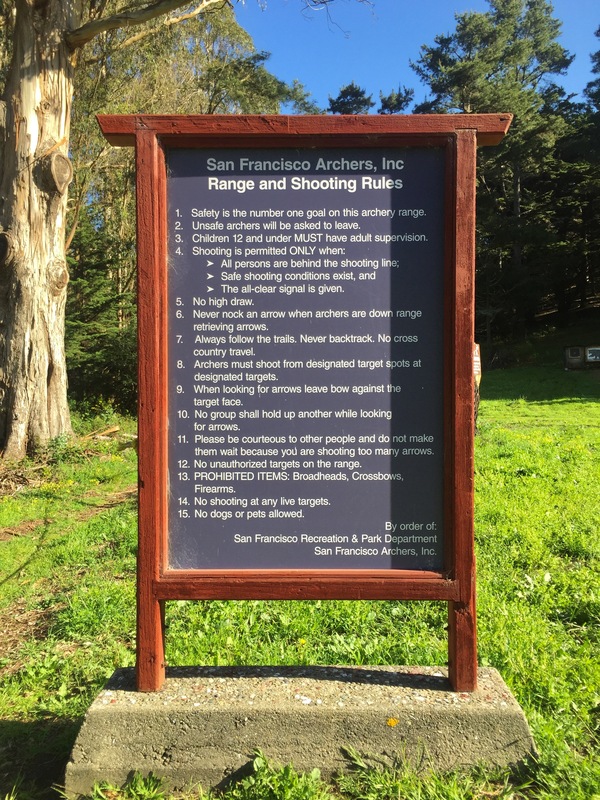 When visiting our range, always pay attention to our Safety Signs and practice Range Safety at all times! Our range is one of the bigger ranges in the Bay Area. 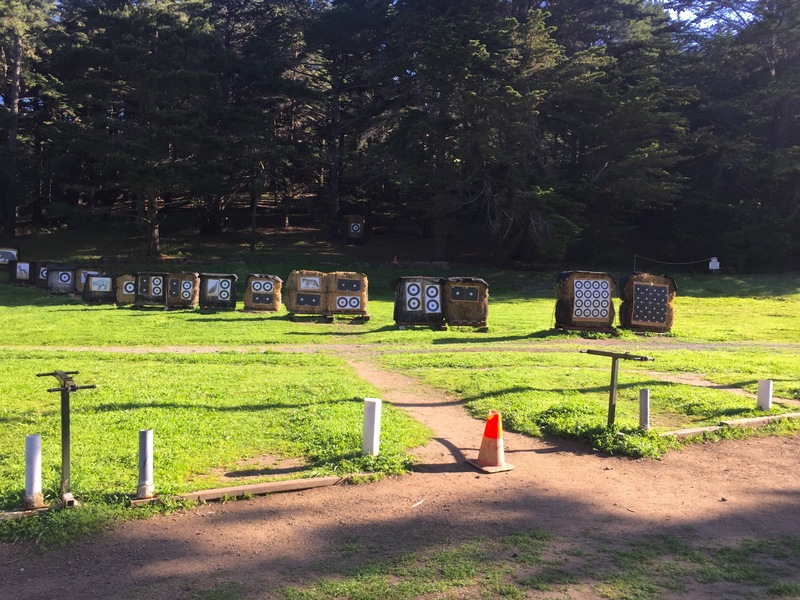 We boast two separate field ranges (56 targets total), a hundred yard target range, as well as a practice range. 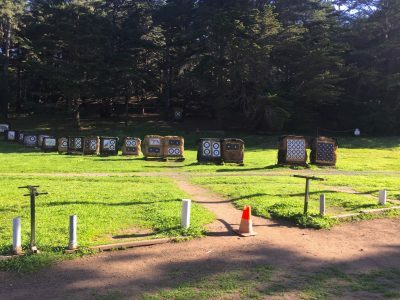 (Most local ranges only have one field range and a practice range). 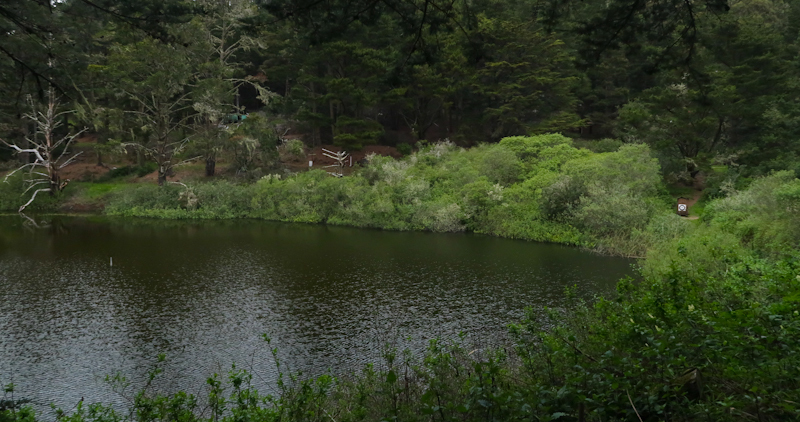 Our ranges are diligently maintained by our members who volunteer their time. You can read more about each of our ranges below, including viewing some maps. The Practice Range is located right next to the SFA Clubhouse. It has multiple target bales ranging from 15 yards to 60 yards in 5 yard increments. 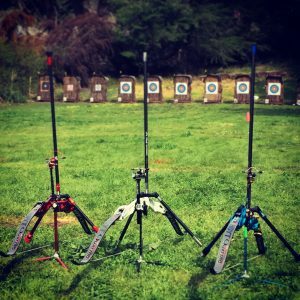 This is the location where we host our Outreach Community Programs, and where many archers simply warm-up before going out to other ranges. The “Alley” is located to the left of the Practice Range. 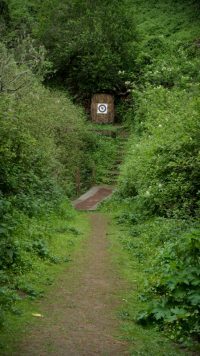 It is primarily for archers who wish to shoot longer distances (50 – 70 yards) than allowed by the rest of the practice range. The Alley for archers who want to practice much longer distances. 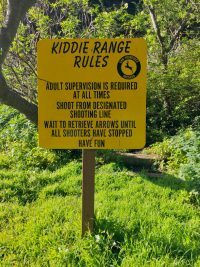 The Kids Range allows kids (and adults) to shoot at much closer distances than the Practice Range. It’s great for new archers (of all ages) to practice in relative privacy. 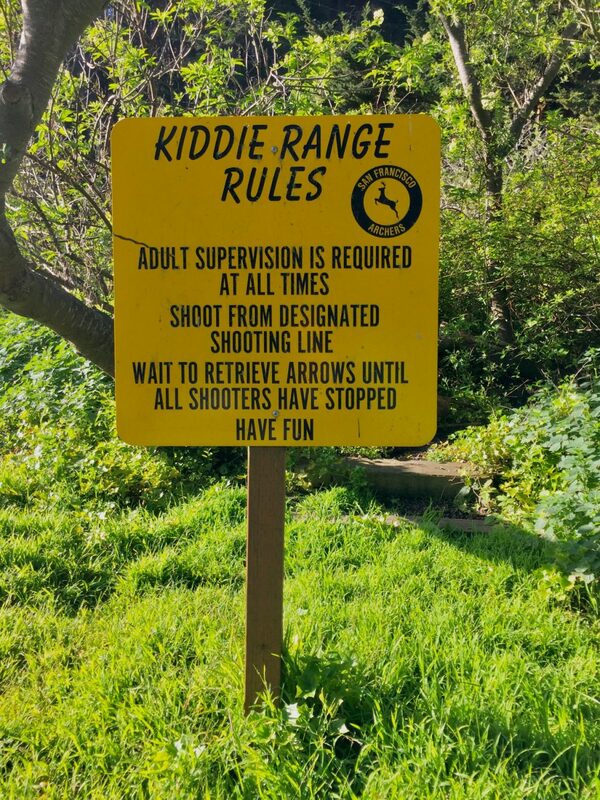 The Kiddie Range can go up to 20 yards. This small range is located between the Clubhouse and our picnic tables with BBQ pits. Make sure to always follow the safety signs! The White Range is one of the two field ranges. It is considered the “easiest” of the two field courses with relatively flat areas. 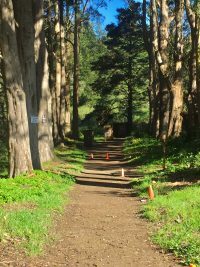 However, there are steps and hilly areas in some aspects of the field. Click on the map for details. The White Range primarily has field and hunter targets. There is a beautiful shot 80 yard shot across Broadhead Lake. 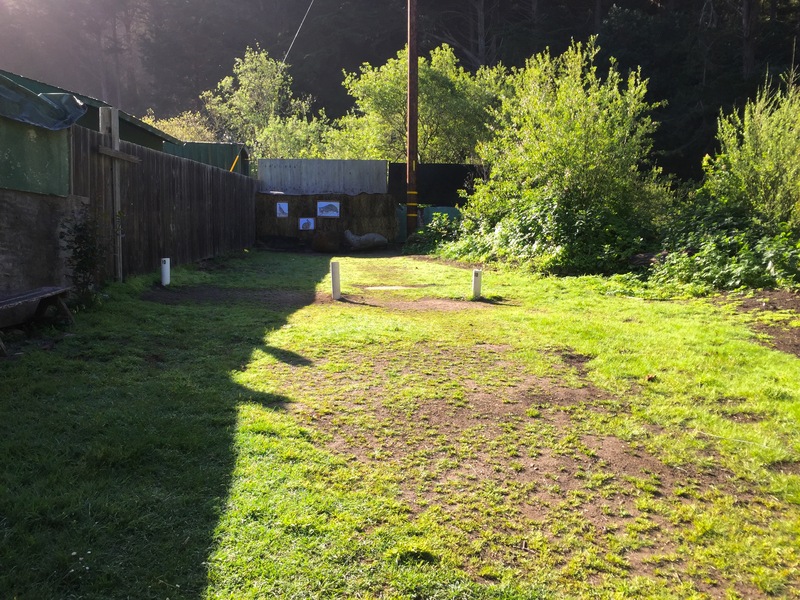 For those who don’t want to do the 80 yard shot, we also have stakes at shorter distances. The Red Range is one of two field ranges. It is considered the more difficult of the two field ranges with some targets that are at a 15+ degree angles to the archer. 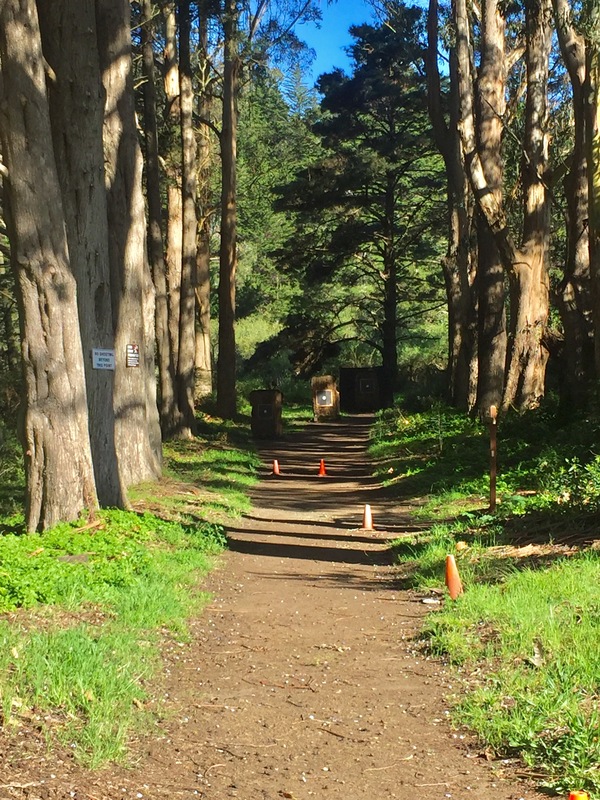 It also has a lot of steep steps and goes around a hill. It is not recommended for archers who have mobility issues. 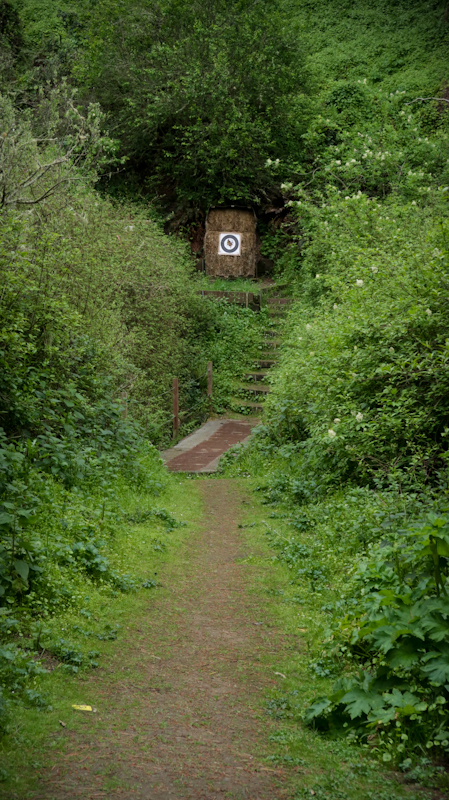 It primarily has hunter and animal targets located on a woodland course. Click on the image to see the full map. The Blue Range is a long, flat 100 yard target range. There are 10 large target bales where archers can practice at varying yardages and meters up to 100 yards. 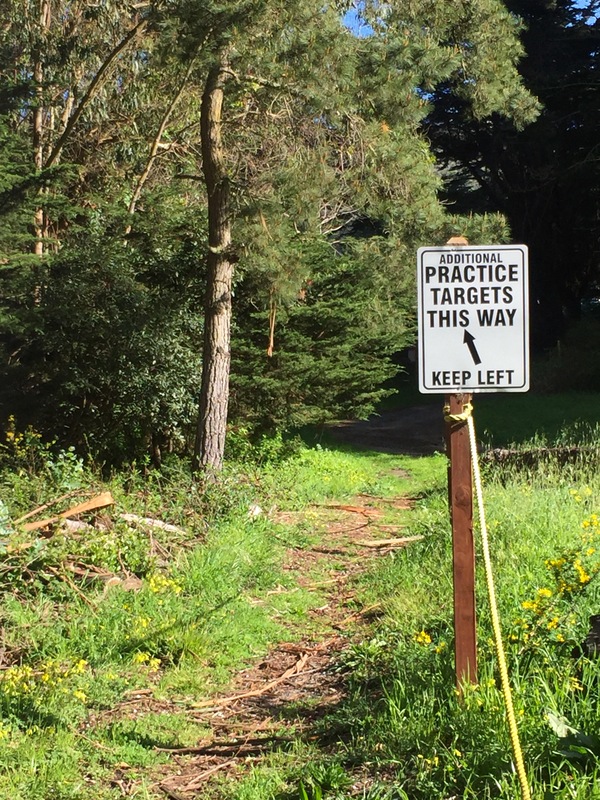 It is located to the left of the Practice Range up a small hill. All Archers and Visitors to our range are expected to follow all safety precautions and rules posted around the club. There are posted signs. Please follow the safety rules carefully. Archery is a wonderful sport, but carelessness can cause injury. 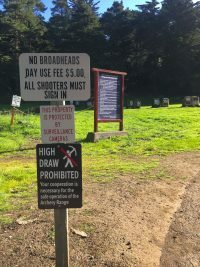 One of the rules you’ll see on our range is no “High Draw” (a.k.a Sky Draw). Here’s a short video clip outlining what a high draw (sky draw) looks like. This video is geared towards an indoor range, but it applies to outdoor shooting as well. If you lose control of a high draw, you can potentially hit another archer who might be far away. Remember, what goes up must come down! !